You arrived to your mother’s home to find her pacing the kitchen, wearing the same outfit as the last three visits. When you tried to ask her if she is bathing and changing her clothes she was outraged and accused you of trying to control her life. Her outburst concluded with: “if you’re just going to boss me around, you might as well leave and have that pretty young girl visit instead.” Your heart sinks when you realize the “pretty young girl” is your daughter…her granddaughter. Your mother missed both the name and family connection to her own granddaughter. The middle stage of dementia is characterized by more pronounced symptoms than the first stage. In this stage, sequencing becomes quite challenging. The brain is not able to determine which step comes first in a series making many tasks too complicated to complete. Your suspicion is probably correct—your mother likely is not changing her clothes or bathing, because each of those tasks requires complicated steps. Deciding on each element of a new outfit feels overwhelming because a whole closet of clothing presents too many choices. If your mother is changing into pyjamas at night, she is likely just dressing in the first item she sees in the morning—the clothes she left sitting on the chair beside her bed. Showering is a complicated process; there are many steps involved and someone with mid-stage dementia may have difficulty figuring out where to start. During this stage, much more support is needed. Your mother may require cueing or prompting for each step in a series of tasks. As her daughter, this can feel completely overwhelming. You are running your own household, still working full time, and attempting to visit your mother as often as possible. You’re concerned that she is on her own, but your mother won’t even think about moving elsewhere, and you don’t want to further upset her. That’s where Warm Embrace comes in. Our caregivers can be the ones to guide your mother through her daily activities. 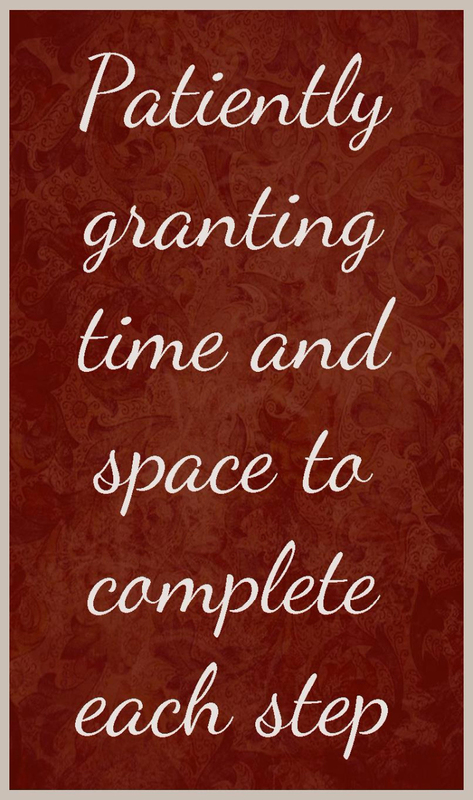 We can gently cue each step of a process, patiently granting your mother the time and space she needs to complete each step before proceeding to the next step. Showering may take an hour, but if your mother is happy and clean, then the goal is accomplished! There is still so much your mother can do; she just needs support to initiate activities, and reminders and cueing with each step. 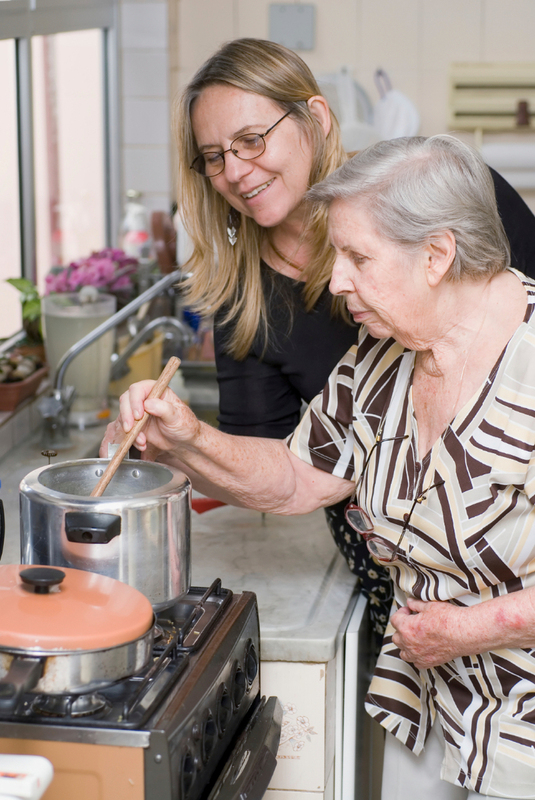 Together with a caregiver, your mother could cook a meal and have leftovers for the next day. Together, they could wash a load of laundry and your mother can manage all of the folding herself—once we get her started. 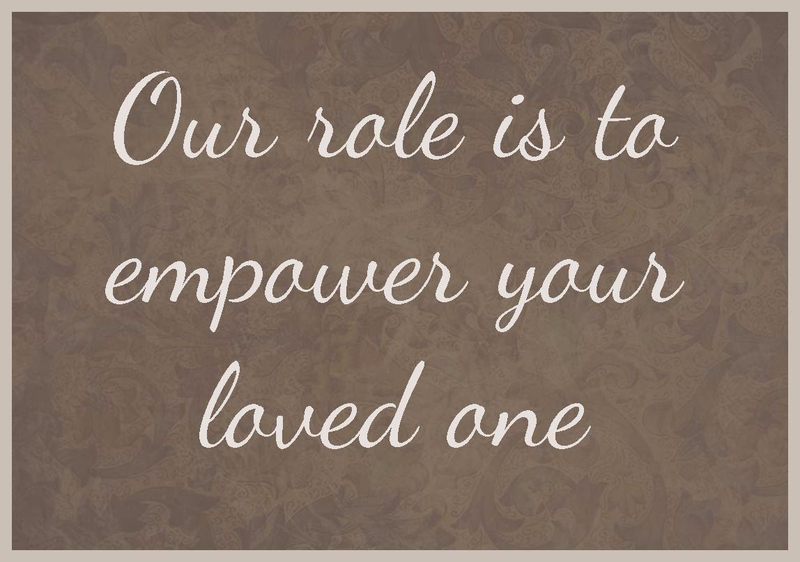 Our role is not to do things for your mother; our role is to empower your mother to do all the activities that she previously did. Your mother is very sensitive to feeling that you have taken over her life. She feels the role-reversal happening and feels her very identity being attacked—she is the mother and you are the daughter. She raised you and bathed you; who are you to tell her what to do? She may be most sensitive to receiving help from you. You might be surprised to find that she accepts help from a caregiver more readily than receiving help from you. She wants you to be her daughter first and foremost; protecting that identity and role is crucial for your relationship. Warm Embrace caregivers can be the ones to help with daily activities reducing the “to-do” list. When you show up to visit, you can do just that—visit and be a daughter!